As a photographer or designer, you know that taking photos is only half the battle. It typically takes longer to process and adjust them to their full potential. Presets are the best way to get a huge head start and not only save time, but make your images look as perfect as possible. In this deal, PhotographyPla.net is bringing you a triple-whammy of Lightroom presets covering a wide range of styles. If there's one piece of photo editing software besides Photoshop that's simply a must-have, it's Lightroom. You can turn almost any image into a stunning work of art, all while preserving your original file. You can go back and tweak each and every setting non-destructively, which is the ultimate in workflow techniques. This deal is great if you're just getting started with Lightroom and want to dissect how certain looks are achieved, or if you're a seasoned pro and want to save some time or just try out a bunch of different effects. These presets are compatible with both Lightroom 4 and 5, and work on both RAW and JPG photos. Of course, RAW images will give you the best results, but they're definitely not a requirement. You'll also find instructions on installing and using these presets to make your life easier. There are 36 different presets in this bundle, separated into 3 different packs. Cameras can't see as big a range of colors and variations in brightness as the human eye. As a result, sometimes our photos look a little flat. With the right tools, you can simulate a wider dynamic range, giving your images an unmistakably appealing look that more closely resembles real life. This set includes 12 presets to help you achieve authentic HDR effects without having to combine multiple exposures by hand. 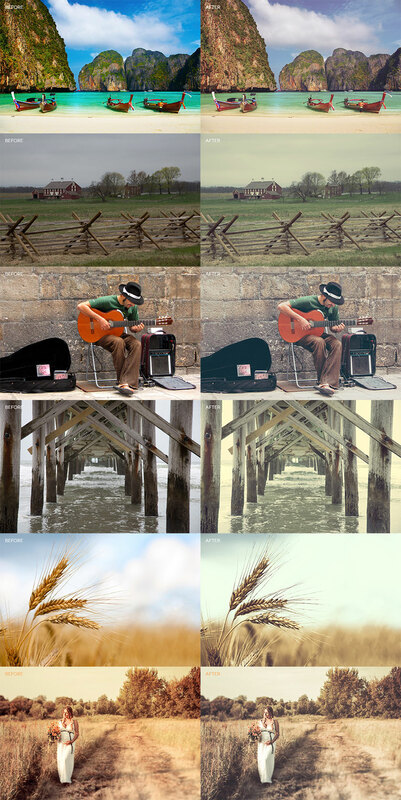 When you want to produce a vintage look, or give an feeling of nostalgia, selective color fading is your best friend. This set includes 16 presets for creating beautiful and stylish faded effects for your photos, allowing you to get an aged look with just a single click. Cross processing is an old technique where you develop film in the wrong type of chemicals to produce unique and beautiful color combinations. Luckily, with digital photography you don't have to worry about inhaling fumes in a dark room. This set includes 8 presets that will give your photos that popular, cross processed look with almost no effort. Normally, all 36 of these Lightroom presets would cost you $71, but for a short week you can grab them all for only $15. That's a huge 79% off the usual price. Save some time and create some amazing photos by grabbing this deal now, before it expires. 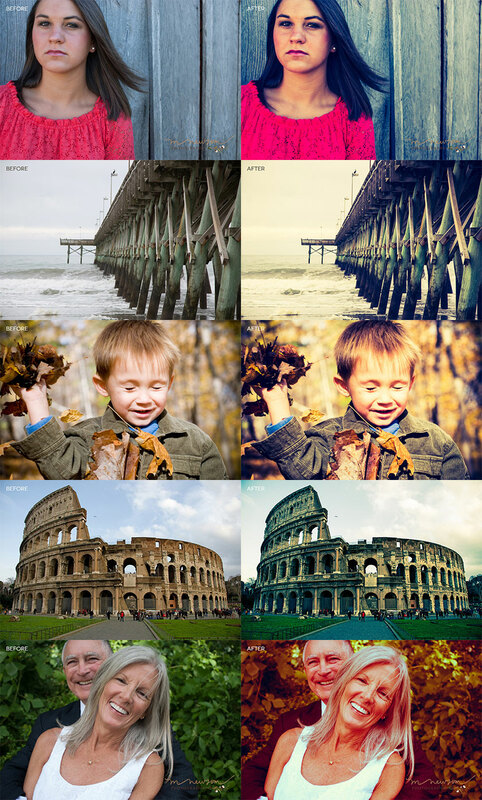 Results from these presets will vary between images. Files come in .LRTEMPLATE file format. Lightroom 4 or higher is required. Files are delivered in ZIP format (621KB).